For at least two years now, Vietnam has sought to urgently buttress its maritime security capabilities. As tensions continue to simmer in the South China Sea, where Hanoi found itself mired in a stand-off with China over the placement of an oil rig in disputed waters in 2014, these needs have grown more urgent. And Vietnam has made progress. It has received the fifth of its six Kilo-class submarines on order from Russia and, more significantly, Hanoi’s efforts to convince the United States to lift its long-standing embargo on lethal arms exports came to fruition last month, when U.S. President Barack Obama announced in Vietnam that the embargo would be fully lifted. While Hanoi has reportedly already mooted a broad shopping list of U.S. kit it’d like to purchase–including F-16 Viper fighters, P-3 Orion maritime patrol aircraft, and an assortment of intelligence, surveillance, and reconnaissance-enabling equipment–the financial feasibility of such acquisitions remains questionable. U.S. financial assistance to Vietnam under the new Maritime Security Initiative (MSI) will be woefully inadequate at a paltry $2 million, leaving Hanoi mostly to its own devices for ambitious acquisitions like the P-3 Orion, a capable platform that could fundamentally transform Vietnam’s anti-submarine warfare and maritime domain awareness capabilities. Unsurprisingly, Hanoi may have found the right bang-for-buck proposition by turning its attention to the Japanese second-hand option. The Nikkei Asian Review reports that Hanoi is specifically considering the purchase of second-hand Japanese Maritime Self-Defense Force P-3C surveillance aircraft. 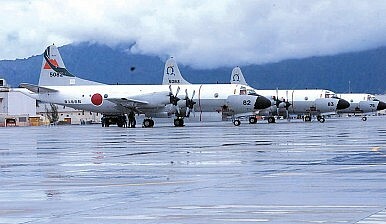 While there’s no specifics on the costs for an old MSDF P-3C, a brand new aircraft would cost around $80 million. According to Flight Global’s 2015 World Air Forces report, the MSDF has 73 P-3s in its inventory. Politically, Vietnam may also feel more comfortable with the Japanese option; Japan and Vietnam have an extensive strategic partnership that finds its origins in Shinzo Abe’s 2006 term as prime minister. Indeed, shortly after the 2014 oil rig stand-off, Japan and Vietnam announced a 500 million yen deal for six maritime surveillance vessels. Earlier this year, Japanese warships made their first-ever visit to Vietnam’s Cam Ranh Bay port. Hanoi also has reason to believe that Tokyo would likely be willing to cooperate on pricing and possibly even offer financing. Abe, since returning as prime minister in 2012, has spoken of Tokyo’s intent to become a “proactive” contributor to peace and security in the region. Under Abe, Japan has taken an active interest in security outcomes in the South China Sea, a body of water that bears importance for Tokyo for commercial reasons despite being geographically somewhat distant. Moreover, with its decades-old self-imposed ban on lethal weapons exports relaxed, Tokyo is looking for customers. Indeed, Abe was disappointed to learn this spring that Australia would not be awarding its A$50 billion future submarine contract to the Japan’s Kawasaki-Mitsubishi consortium’s Soryu-class offering (I have more on why that bid failed in the June issue of The Diplomat‘s magazine). While selling P-3s to Vietnam won’t come close to a deal of that scale, it would help start Japan on the path to normalcy as a defense giant. Another deal between Japan and India for the sale of ShinMaywa US-2 STOL amphibious aircraft has long languished in limbo. Additionally, Vietnam wouldn’t be the sole Southeast Asian customer to look at Japan–Thailand has expressed interest in Japan’s P-1 maritime patrol aircraft and the US-2s as well.